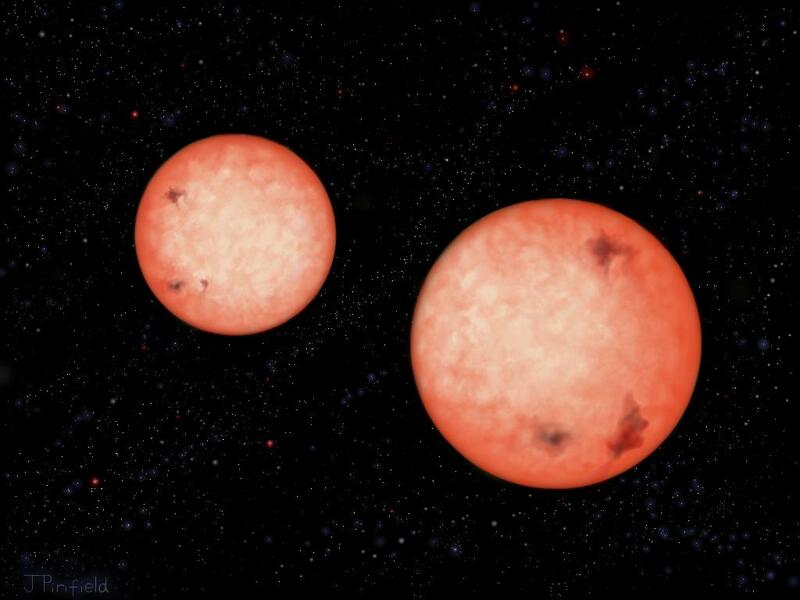 Artist's impression of the two red dwarfs orbiting each other (credit: J. Pinfield, for the RoPACS network). Despite facing closure UKIRT continues to produce superb scientific discoveries. In this case a pair of red dwarfs with impossibly tight orbits. `"To our complete surprise, we found several red dwarf binaries with orbital periods significantly shorter than the 5 hour cut-off found for Sun-like stars, something previously thought to be impossible", said Bas Nefs from Leiden Observatory in the Netherlands, lead author of the paper. "It means that we have to rethink how these close-in binaries form and evolve." For more, see the full RAS press release. I haven't taken my camera with me, so this is Dam Square photographed by someone else. I'm staying just to the right in a quirky but very nice hotel. The smell of cannabis on the street outside reminds me of my student days but I have yet to find a city quite like this. It's just brilliant - countless restaurants and bars all within walking distance and an opportunity to forget all the crap that's going on right now.